Anjou is a classic French bistro led by father-daughter duo Christian Amelot and Anne Amelot-Holmes. A graduate of Savoie Léman culinary school of Thonon les Bains, Christian brings over 40 years of French culinary expertise to the kitchen. Also born and trained in La Ferté-Bernard, France, Anne is the proprietor/general manager of Anjou. The two work hand-in-hand to merge authentic, Old World flavors with Southern favorites for a deliciously crafted menu. Amelot began his career in 1972 as the personal chef to French Foreign Minister Maurice Schuman while on active duty in the French Navy. He served many visiting dignitaries, such as Henry Kissinger, and worked in reputed kitchens at the Hotel Hermitage, a five-star hotel in La Baule, France, and the gourmet La Braiserie in Marseilles, before an opportunity presented itself to come to the United States. In 1984, he moved his wife and two daughters, Anne and Sophie, to Jackson, MS to work as the Chef de Cuisine at The Sundancer, a fine dining restaurant in Highland Village. When The Sundancer closed four years later, Amelot shared his culinary skills as corporate chef for Valley Food Services for nearly 20 years, followed by US Food Service’s Jackson-New Orleans division as their corporate Executive Chef. 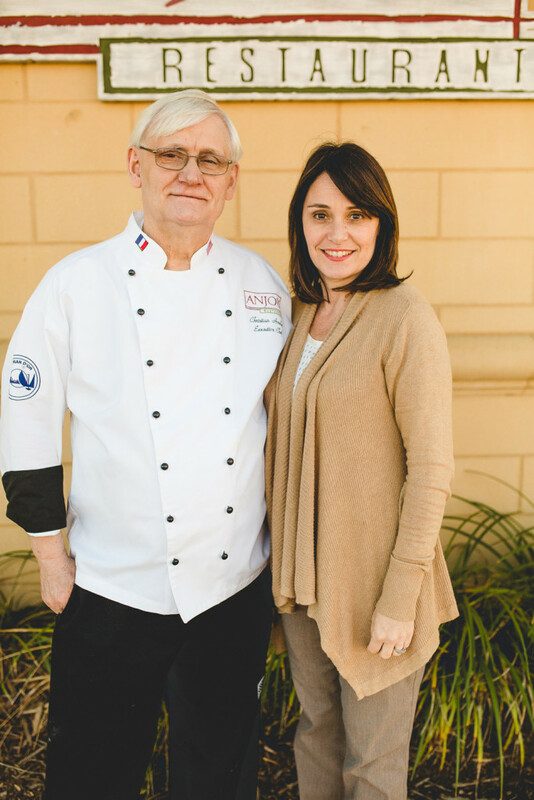 In 2012, Anne opened the French-inspired Anjou Restaurant in Ridgeland, MS, where Amelot created the menu and provided consultation for his daughter’s new eatery. Three years later, Amelot came on board full-time to take the reins of the kitchen, where he now serves as Executive Chef. Taking into account the tastes of the American Southeast, Amelot created the menu at Anjou as a balance of traditional French cuisine and the southern palate. Guests can expect French favorites like house-made beignets, crepes and quiche, while satisfying cravings for Southern classics like fried oysters and shrimp & grits.